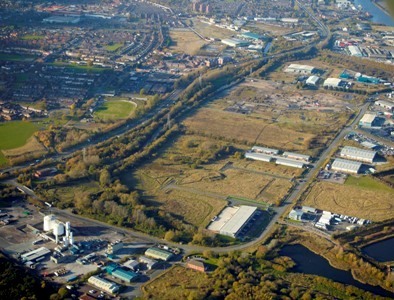 18 June 2013 Ellesmere Port is to benefit from £6million of funding to unlock the potential of major employment sites around the town – creating over 4,000 jobs by supporting the growth of existing business and attracting major new investments. The funding, made available over the next three years, comes from the Government’s Regional Growth Fund and follows a bid made by the Ellesmere Port Development Board and Cheshire West and Chester Council. Looking to support five key sites across the town including Homes and Communities owned land at Hooton Park, Port Bridgewater, the former BP Castrol site, former Cabot carbon site and Newport Business Park at New Bridge Road, improvements will include the construction and upgrading of roads, remediation of land, improved transport links and environmental improvements. 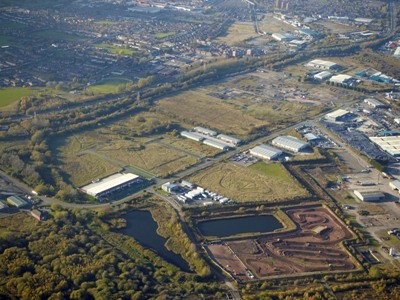 Ellesmere Port Development Board Chairman Robert Mee said: “I’m delighted that we have managed to secure this funding for Ellesmere Port – when we heard that our bid had received preliminary approval in October we knew we still had to put in a lot of hard work to ensure the funding became a reality. “This is fantastic news and builds on our success so far. Our hard work is paying off real dividends and we have successfully created Ellesmere Port as a location that is recognised as business and investment friendly. Cheshire West and Chester Council leader, Mike Jones, said: “This £6 million RGF funding comes fast on the heels on a tremendous 2012 for Ellesmere Port, which saw companies including Jaguar Land Rover, Williams Sinclair, Debenhams, Travelodge Marks and Spencer decide to invest in the town. “It demonstrates what a great place Ellesmere Port is to invest in, and the Council will continue to support new and existing businesses interested in investing in the town. We have a growing reputation that speaks for itself. Local member, Councillor Justin Madders, said: “The town has had a number of major investors come in over the last five years, despite challenging economic conditions and this project has the potential to build on the good work to date and create thousands of new jobs in the area. “The town’s excellent transport links and location have made it one of the most popular places for business to invest. This is all about building on existing infrastructure so that we are ready to go when the next opportunity arises. “It’s a very competitive world and when business looks to set up somewhere they are attracted if a lot of the spade work has already been done. This funding helps to do that but it is important that we also look very closely at the skills our local people have so that they match what the new companies are looking for. Business Secretary Vince Cable said: “We need growth that is more evenly balanced across the country. That is why we are supporting places such as Ellesmere Port with £6 million of Regional Growth Fund money, which will enhance their infrastructure and continue to bring long-term employment to the area.